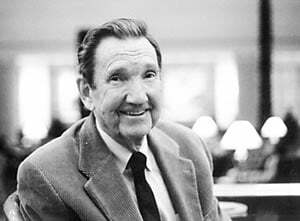 These were among the comments were made by Ramsey Clark, who served as Attorney General under President Lyndon Johnson, when he was interviewed by Christina Tobin, the executive director of the Free and Equal Elections Foundation, an organization which seeks to broaden electoral choices through education. In his career, Mr. Clark was involved in drafting the Voting Rights Act of 1965 and the Civil Rights Act of 1968. Inspired by civil rights activists such as Amelia Boynton Robinson, Mr. Clark believes we can overcome racism and war, and although we have made progress in some racial issues while uncovering more, he believes that America has not yet solved the issues of war. Mr. Clark has staunchly supported the right to vote and the creation of a participatory democracy through removing money from politics and curbing its influence over our elections. He has also dedicated his life to standing for justice and accountability, and along with Ms. Robinson, Mr. Clark supports the mission of Free and Equal by bringing awareness to the inequality of our electoral system. In order to overcome the odds, we must unite together to bring truth to the land and power to the people. Mr. Clark has also announced his intent to speak at the United We Stand Fest’s Open Presidential Debate at the University of Colorado Boulder’s Coors Event Center, which will take place this October co-hosted by #StudentVoicesCount.